A prepared trader is a profitable trader, and Sunday is a great day to get ready for the week. One way to do that is checking out one of the most powerful features on TrendSpider, Multi-Time Frame Bollinger Band Analysis. This week we are focusing on the airline industry as there have been some big post ER moves to watch! Below are three key airline stocks representing parts of the broad markets that we have analyzed and identified interesting trendline/Bollinger Band setups. Based on the current charts, we are watching for a short-term reversal possible in the coming weeks. Whether you are new to trading or not, you have probably seen those stock photos of someone sitting in front of a screen full of charts that accompany every article about trading. But have you ever looked at those charts and wondered what it all means? There are many forms of charts, but probably the most commonly used are candlestick charts generally consisting of red and green rectangles that look similar to a box and whisker plot. These are called Japanese Candlesticks, and we’re going to talk a whole lot about them in this article. For anyone looking to understand trading, having a strong background knowledge of candles and what they depict can give you a leg up in the challenging game of stock trading. 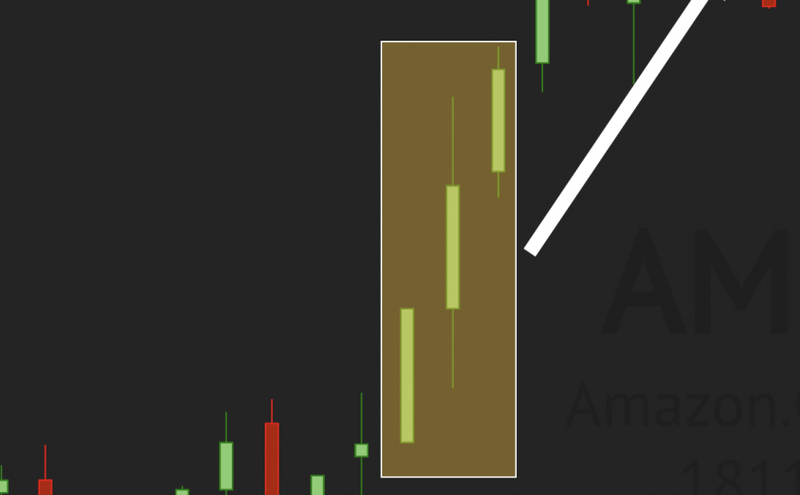 This article covers everything you need to know about candlestick patterns from what they are, to some of the most common patterns and what they mean. A prepared trader is a profitable trader, and Sunday is a great day to get ready for the week. One way to do that is checking out one of the most powerful features on TrendSpider, Multi-Time Frame Analysis. This week, we’re focused on Bollinger Band setups using multiple time frames.